Just to update, Phil has been in contact with the management and this is the updated situation………………………………..
Having been in communication with Enrique and Chris most of this morning I can now confirm that they have reviewed the situation and have put staff in place. We now have the following Society Start times during July / August. Great news, a sensible solution. I was notified yesterday by GNK that throughout July, and possibly August, the Pro Shop on all the course,s with the exception of Mar Menor will now be open from 9 am instead of 8 am, closing at 4.10 pm. The impact of this to us is that on a Monday ,Wednesday and Friday (our society days) the course itself will not open until 9:30. This means that our first tee time will generally be 9:30 am. Apparently on the other days the course will not open until 10 am. I have also been told that this is a commercial decision by GNK related to staffing. I have written to Enrigue, the owner of Condado and MD of GNK, expressing all of our members concerns, primarily that the majority of our members prefer to walk and that we are now going to be playing during the hottest month(s) of the year and through the hottest part of the day. On behalf of the Society I have asked that they reconsider their decision. I have no doubt similar correspondence will be received from the Captains of the other 5 societies affected. The second Dublin Crystal of the year (sponsored by Paul Culligan) attracted 59 players, and it was quite warm out there with summer now fully upon us. The midweek events have thrown up some very high scores in the mid-40’s, but 38 points was enough for Ray Rollett to come out on top. Ray is not regularly seen near the top of the leaderboard, so it was good to see that finally it was his day. Next week is a pairs stableford event, but bookings will also be open next Wednesday for the Barry Barker Strokeplay (major competition) on July 6th. No photos this week, not mobile yet. However, I intend to be more selective with photos – one reason is that my wordpress megabyte space allowance is limited. Also many presentation photos are both repetitive and not of acceptable quality (lighting problems), but major trophy and special events winners will be recognised however. 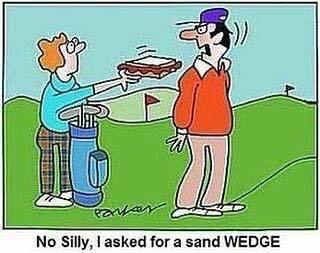 I welcome any input from members as I am not involved in the golf at the moment, so thanks to Dorothy and Sandy Simpson for sending this cartoon all the way from Australia! Late news, thanks to Dave Lloyd who supplied this photo of Chris King receiving a slab of beer for 2nd place in division one of the Condado leg of the GNK circuit. I am sure you appreciated the choice of prize Chris, but well done anyway! 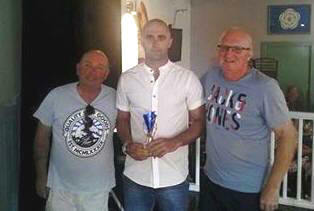 Steven gets his first Apollo Air title………………….. Sorry folks, but again a basic blog this week – I am still more or less housebound watching the World Cup, U.S. Open, England v Australia ODI etc. Not mobile apart from crutches, but things seem to be going well. So no comments on the day and only one photo from the presentation salvaged. Thanks to the starter (whoever it was!) and congratulations to the winner, 59 players which is a good entry based on previous weeks. Steven Brown will have to play well next time out after having 3 shots (plus slope) lopped off his handicap! Shaun Cairney must have been a little disappointed to find that his 43 points was only good enough to take the first division, but he is now in the lead for the annual Apollo Air championship just ahead of Phil Cooke and Chris McAllister. Last year’s challengers Chris King and Kevin Smith are just behind (see ‘best of series’ tab at the bottom of the results page on masterscoreboard). Not being present at the presentation means I have to guess how many prizes in each division, so here is my estimate. Next week is another special event, the quarterly Dublin Crystal individual stableford. A special thanx to Peter Beatt who acted as Starter for the day. Today saw a 4 person team event with 2 scores counting on the first 6 holes, 3 on the next six and all 4 on the final 6. There were 40 golfers making up 10 teams playing in pleasant conditions. Shaun Cairney, Tom Toner, Dave Waring and Dan Don with a score of 125 points. And in Second place were……. John Collins, Kevin Smith, Chris McAllister and Paul Harrington with a score of 117 points. 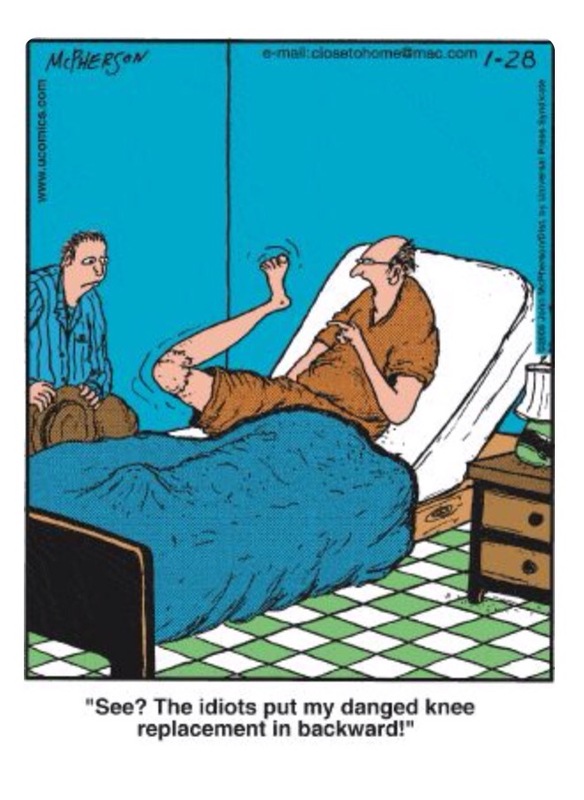 I’m sure we would all like to wish our regular blogger Barry Barker a speeding recovery from his knee operation and hope to see him out on the course soon. Over the past 18 months or so our Society has been through some major changes. The introduction of Handicap Master, whilst having its teething problems, has generally made massive improvements to the society. Your committee, as voted for and appointed by you the membership, have also had to make many decisions on behalf of our members. Clearly not everyone will agree with all of these decisions, however they are always made in good faith and with a broad understanding of the issues. We are aware and It has been brought to the attention of the committee, that in recent months, there is a group of members who are constantly trying to undermine us. The feedback is that they are unhappy with the committee and decisions the committee take. One of the issues which we know is subject to much discussion and criticism by a few people is the discipline policy. This policy was put into place at the request of the membership. Over the last year, before our suspension and discipline policies were put into force there were many instances which had occurred affecting games for members, I.e. Failure to attend. There have also been three instances of abusive behaviour, and one misconduct which have all been addressed. May I remind you that we are all volunteers and members of this Society and we spend many hours of our time doing the administration duties to ensure that we all can enjoy our golf. I as Captain, and the committee work for all our members. If any member wishes to make their feelings known on any subject relating to the Society please email me at Captaincdagolf@outlook.com. The committee will then discuss this at our first opportunity and will answer any questions. Finally, any member is welcome to put themselves forward to join the committee, work with us and have a positive voice in our Society. Regarding the post on Monday 28th May, we are now taking names from all members who wish to participate in the above away day competition. I have added those members who have allready rcontacted me. Please remember a 20 euro deposit is required to secure your place. It has also been confirmed that the Hotel Spa will be open for the wives and partners of our members, the entry cost is 15 euros. 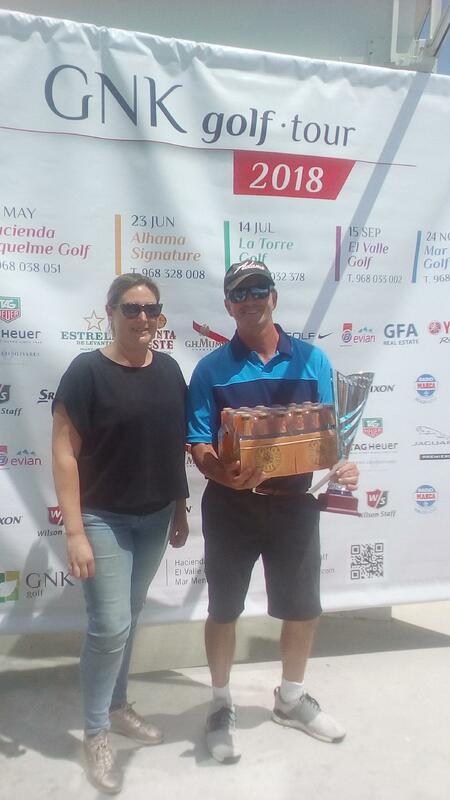 Alicia and I will not be on Condado de Alhama for the next 3 months, so can all interested persons please contact Phil Cooke – captaincdagolf@outlook.com.